Ned L. Davis is owner and director of education at the Vermont Academy of Floral Design, which is a private, professional floral design school. Ned's background in horticulture and landscape architecture serves as a basis for his work in the floral industry, which began in 1976. In 1987, Ned was the first florist in Vermont to become an accredited member of the American Institute of Floral Designers (AIFD) and Certified Floral Designer (CFD). The American Institute of Floral Designers is the floral industry's most prestigious accredited floral organization with approximately 1300 worldwide members. He was also an officer on the board of directors for the Northeast Regional Chapter of AIFD. 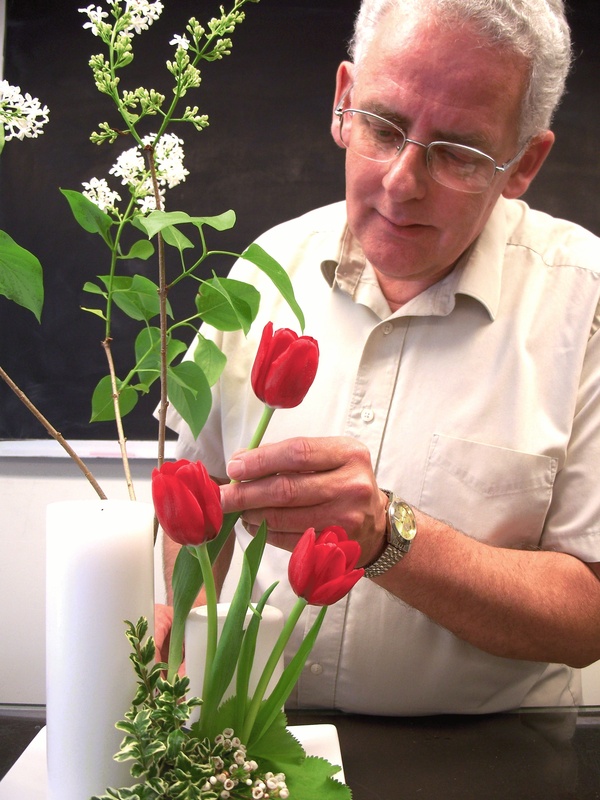 Ned has also served on the AIFD National Education Committee from 1997 to 1999 and 2002 that researched and assembled the Book of Floral Terminology first edition. 2012 he was recognized as an AIFD Laureate for his years of membership and support of the American Institute of Floral Designers. In 1989, he represented the Northeastern United States as one of four designers competing in the Design America competition where he was a runner up for the event. He has been a guest designer for industry programs throughout New England as well as a commentator and judge in state and regional design competitions. Ned has also studied floral design in Europe under world-renowned premier German and Dutch floral designers. In November 2005, Ned became the first Commissioned Minister of Liturgical Floral Design (CMLFD) in the United Church of Christ in the United States.